Much love for this configuration. More than 24 hours to make the best mapping. 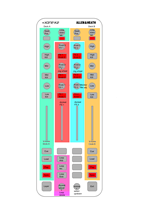 This is a mapping to control nearly all functions in Traktor. 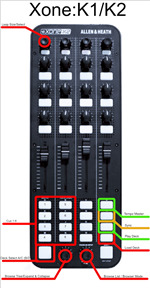 The EQs have a special mode like Xone:DB2, Xone:DB4 or PlayDifferently Model 1. 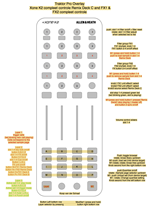 Still working on getting a nice template to show all functions. 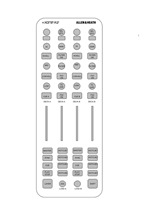 Aufgebaut von Links nach Rechts des Controllers. 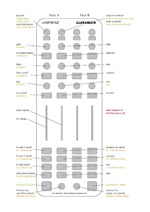 in 2nd layes u have looping and hot cue options. 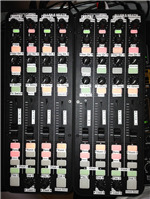 Four decks and two effect units are mapped to two side Xone K2 connected to a central Xone K2 via Xlink, on which the internal Traktor mixer is mapped. 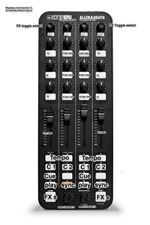 The central Xone K2 is connected via USB to the computer and it provide the audio IF for monitor out and master out. 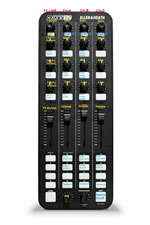 The two side K2 can be replaced with the newest, cheaper, and MIDI only Xone K1. 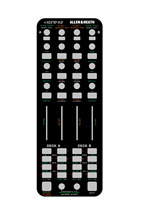 Concept: Two Traktor decks..yes TWO for DVS or simply two decks in Traktor! 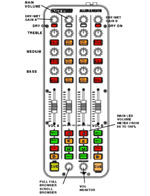 Decks A&B MIDI controls of DB4 CH's 2 & 3 with further A&B deck controls laid-out on the outer MIDI controls of mixer CH's 1 (Deck A) & 4 (Deck B). 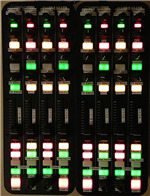 Audio routing is set-up accordingly. 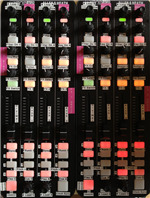 A XTRA MIDI-A Deck-B Deck-B XTRA MIDI. Basic Setup for 2 Decks. Mapping is fully documented for easy editing. 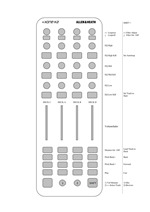 Function overview and mapping table on the preview picture. Bigger picture is included in the download. 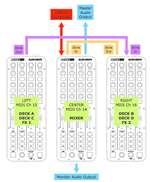 Headline says it all: one FX line and three channels allow for a fun/dynamic approach to just one controller. See the photo & description for more. 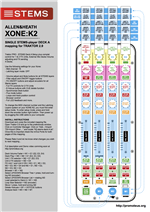 xone k2 map controlling 2 decks and 4 fxs. 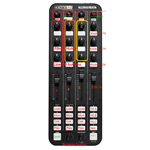 CONCEPT XONE:K2 Mapping uses Latching Layer Mode 2 to control the Remix Decks. 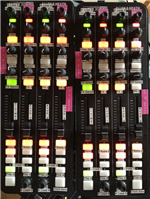 K2 Mapping, 4 Decks, externer Mixer. 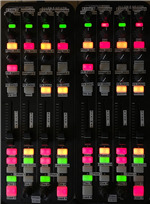 K2 mapping, 4 decks, external mixer. K2 Mapping für die Transport Sektion. K2 mapping for the transport section. 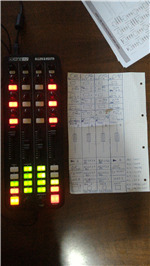 K2 Mapping für die Mixer Sektion. 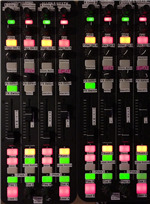 K2 mapping for the mixer section. 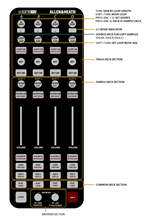 Since A&H did not release a mapping for decks C & D on a second X1 emulated Xone K2, I mapped it myself. 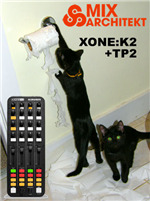 2 mappings for Xone:K2 controller. 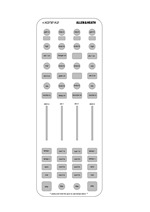 Intended for use with an external mixer. 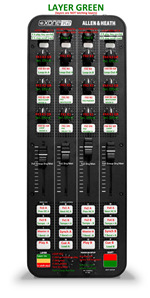 Should be good for internal mixing with 2 decks, including tempo faders. 2 decks , 2 effects and etc. ive not had a chance to really test this map yet so if any bugs please get in contact. 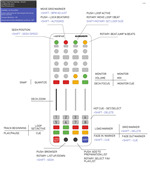 XONE:K2 Mapping without using Latching Layers to control Traktors internal Mixer. Zip-File contains tsi-Mappingfile and documentation. 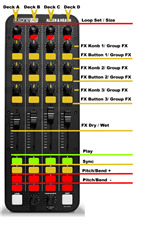 make sure your xone k2 is set to midi channel 13 with no layer mode! A 4x4 for 2xK2 to take on and off the road! Adapted from my 4 deck K2 x 2 map! 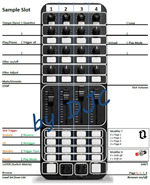 This mapping contains the K2 mapping for the Traktor Bible DB4/K2 Mapping package. 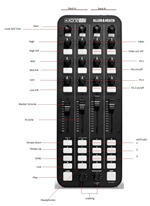 It allows controlling three track decks and one sample deck from the K2. 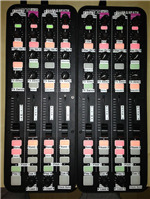 (Part 3 of this mapping package has an alternative K2 mapping to control two track decks and two sample decks). 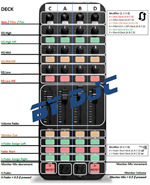 Simple DB4 mapping with the Traktor features I used most often and which I wish to have available on the mixer. 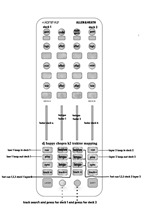 The ZIP file for this mapping contains two TSI files: one with an ABCD layout and another one with a CABD layout. 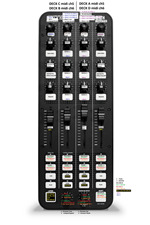 A turn key solution for controlling 4 decks of fun in TP2 with the DB4.